I think I’ve really been feeling fall coming and now it’s finally here. 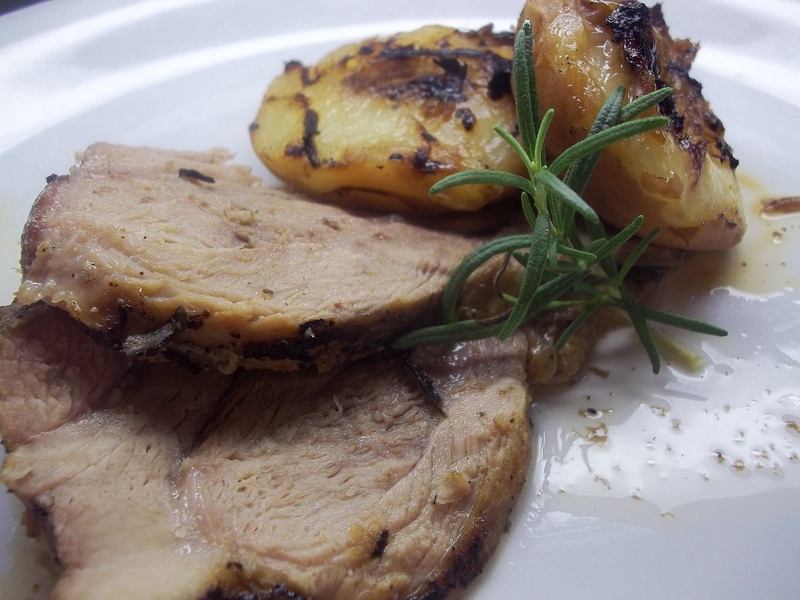 I’ve been making a lot of pork with fruit and I think maybe it was due to anticipation of warm, cozy, cool weather meals and that feeling of harvest time in the air. There are still peaches in the stores for sale at the same time that the leaves are beginning to change and our annual apple picking trip is upon us so I’ve still been buying them while the price is on the low side. 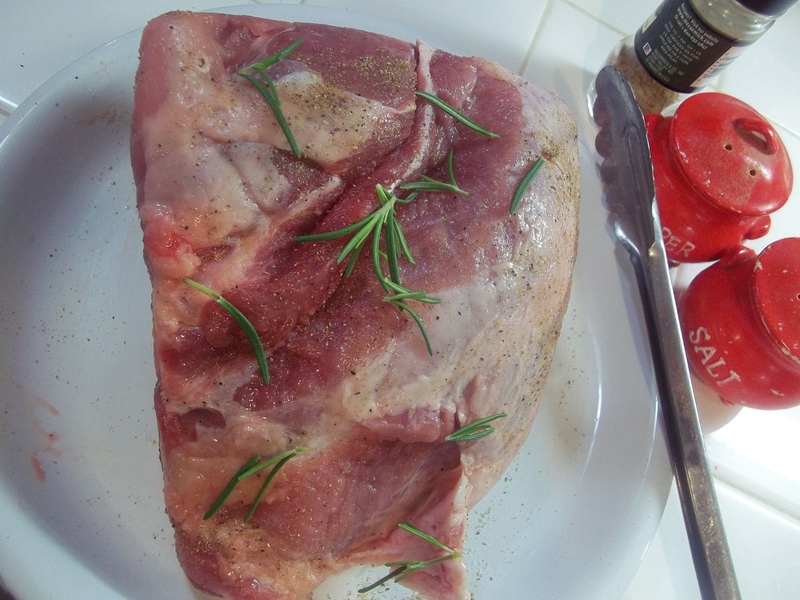 Season the roast with salt, pepper, coriander, and rosemary. Heat the oil in a pan very high. Sear meat on all sides to brown. Deglaze pan with water. Cover and roast in a 350 degree oven for 30 minutes. Reduce the oven temperature to 250 degrees and continue cooking for two hours. Remove roast from the oven and allow to sit, covered for 20 minutes. 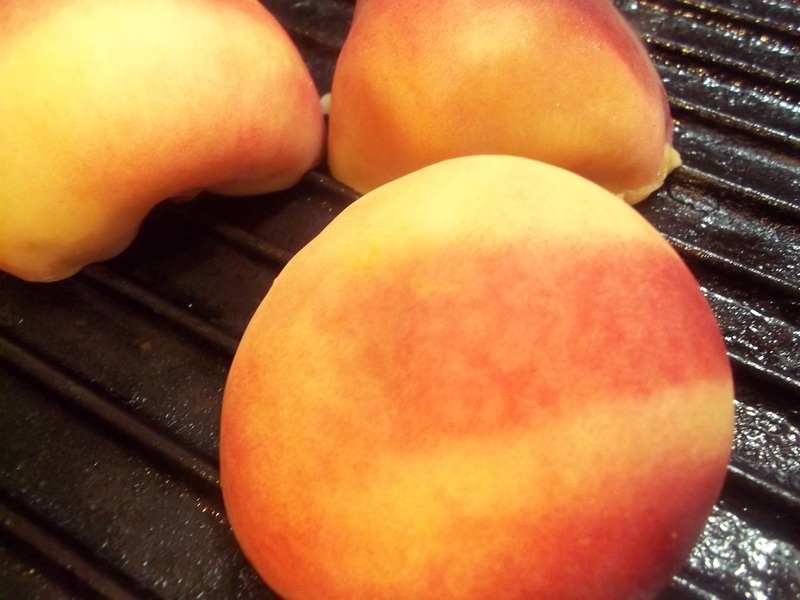 Grill the peaches, cut side down. Turn and grill on the opposite side, cooking twice on each side until softened and caramelized. 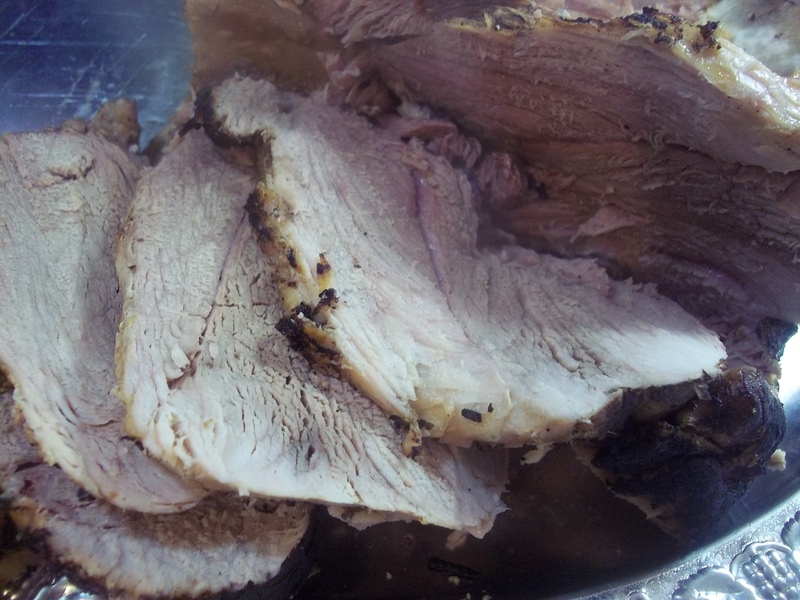 Serve with sliced pork and pan juices. Great looking piece of meat.